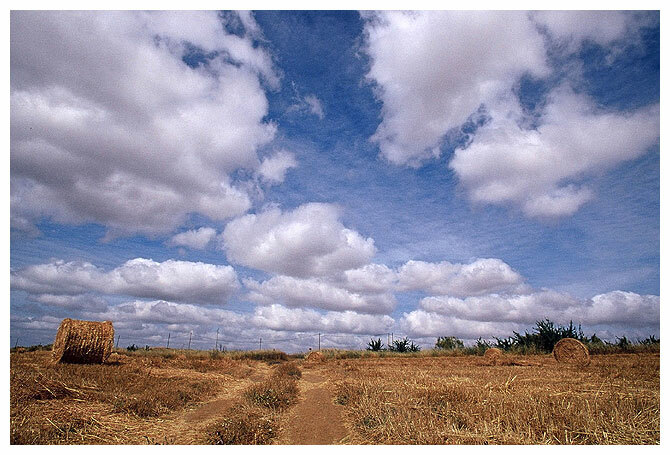 Фото "Clouds on the crop"
Excellent and beautiful composition, great shot Antonio !! fantastic sky and composition, Antonio!!! What a fantastic sky with clouds so low they seem to want to caress the hayfields. Contrasting blues and gold are such a winning combination, and...and...WOW!! Amazing colors, composition and sky! A strong sky. the clouds ae very nice. A very beautiful photograph. My congratulations, Antonio Paulo. The sky, the clouds and textures on ground are perfects!